Pets are as sensitive to change as we are. In fact, moving to unfamiliar surroundings can be especially traumatic for our furry friends. With careful planning and a little help from the vet, you can make the moving process a lot less stressful for your dog or cat. Cats are creatures of habit. Any sudden changes in noise level, routine or surroundings can trigger stress. Ideally, you want to maintain a normal routine for as long as possible. If possible, try to pack up the house gradually, over a prolonged period of time. Involve the cat in the packing process by letting her (or him) play in the boxes and with the packing tape and bubble wrap. Make it a fun experience that doesn’t interrupt the usual feeding, tickling and pampering routine. Introduce your cat to the crate, basket or holdall she’ll be travelling in a couple of weeks ahead of the move. Slowly entice her in with treats, and transform the crate into a snug and familiar little home away from home using a familiar blanket. Once your cat is comfortable in the crate, it’s a good idea to place her in a stationary car until she’s sufficiently relaxed to take progressively longer drives around the neighbourhood. If she doesn’t settle, one recommendation is to use naturally calming Kali Phos tissue salts (No 6) to soothe and relax her. On the day you’ll be transporting her to the new home, simply crush one to two tablets into her food. 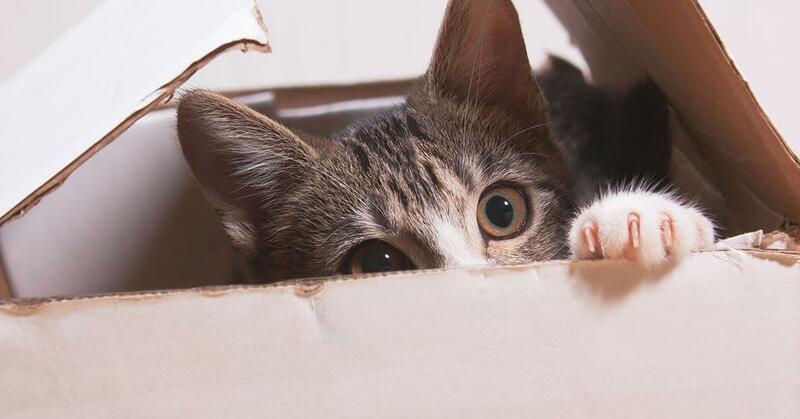 On moving day, empty one of the rooms of furniture and boxes and create a safe haven for your cat. Add her bowls, bedding litter and toys, and bar the removals people from entering her domain. This will keep your cat safe and secure until it’s time to load her into the car for the journey ahead. Once at your new destination, repeat the process. Allow your cat to emerge from the travel crate of her own accord. Let the cat explore her new surroundings in her own time and at her own pace. After a few days, you can open the door so she can slowly widen her experience of the new home and garden. Dogs may not be as sensitive as cats, but they do become unsettled and anxious when you’re packing up a home. Ideally, avoid the temptation to put your dog in kennels. It’s true that this could make moving simpler for you, but it’s also likely to increase your dog’s anxiety and make moving more stressful. Try and spend quality time with your dog. Go for long walks, play and engage with him (or her) while you’re packing, and maintain the usual feeding and grooming routines. Avoid washing his blanket or buying a new basket, as he’ll need the familiar comfort and scents of his old territory when he arrives at his new home. If possible, take him for a fun outing when the removals people are in the house. It will release some of the pent up energy and relax and calm him for the journey ahead. Alternatively, drop him off with someone he’s comfortable with as you do the last minute chores around the house. Dogs are usually quite relaxed in a car, but if your pet isn’t a good traveller, a mild sedative from the vet will usually do the trick. If you’re embarking on a long road trip, be sure to stop off regularly to allow him to mark the territory and stretch his legs. Last but not least, remember that moving is almost always a stressful experience for people too, and take it easy on yourself. A less stressed pet owner also results in less stressed pets! 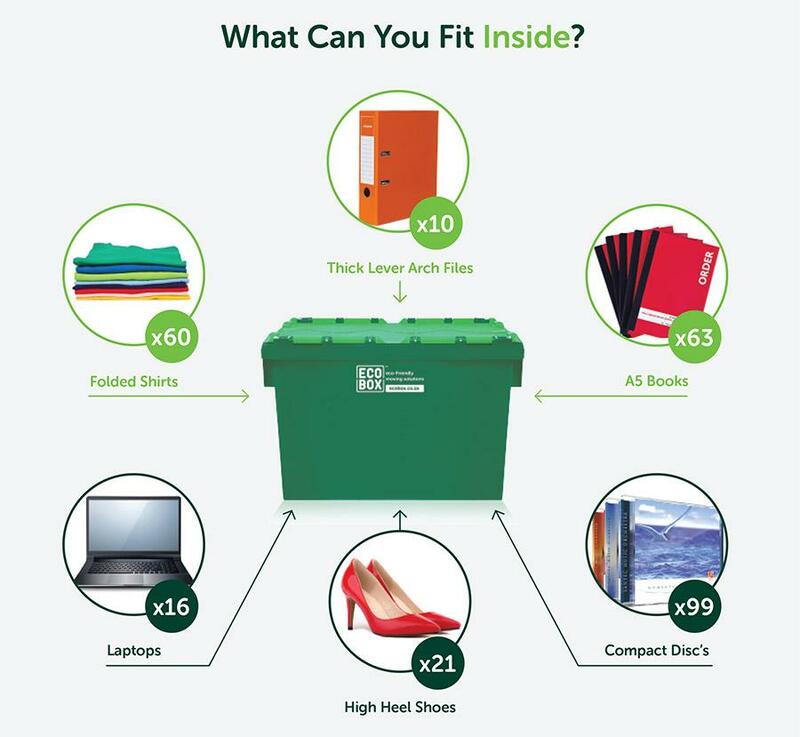 One way to simplify a move is to use our sturdy, stackable, eco-friendly Ecoboxes. Simply order the number of boxes you need and we’ll deliver them to your door. 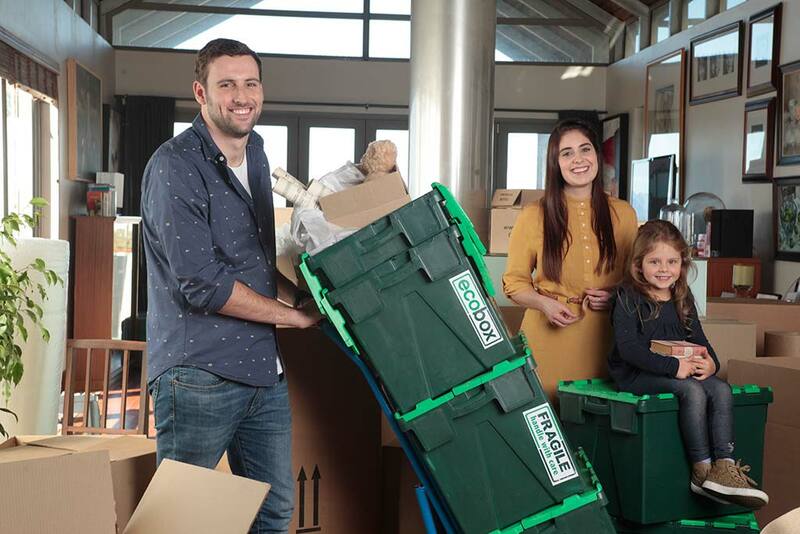 You can use them to pack and move your belongings – and once you’ve unpacked in your new home, we’ll return to fetch the boxes. Get started now by ordering boxes or contact us for more information.